Well, I am just back from IFDC and I entered four of my designs from Project Dollway into the competitions. I entered my Challenge 1 Vintage into the Time Warp Category and got second place. I entered my Challenge 7 Empire Pantsuit and got First place. And, I entered my Challenge 10 Fitted paired with Rufus from the Wedding Party on Challenge 12 into the Miscellaneous Category and got First place too!!! 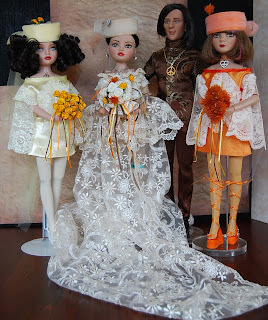 I also got a number of positive comments from some professional doll clothing designers!!! After the trials of PDW@H, it restored my confidence. Hi it's hard finding a place to contact you! 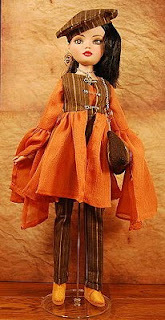 :) I got here via http://www.barbigirl.com/eagle.htm and browsing around your webpage! !